Enjoy the Tat Mok waterfalls in Maerim, Chiang Mai. Visit Theravada Thai monks and have a chat with them. 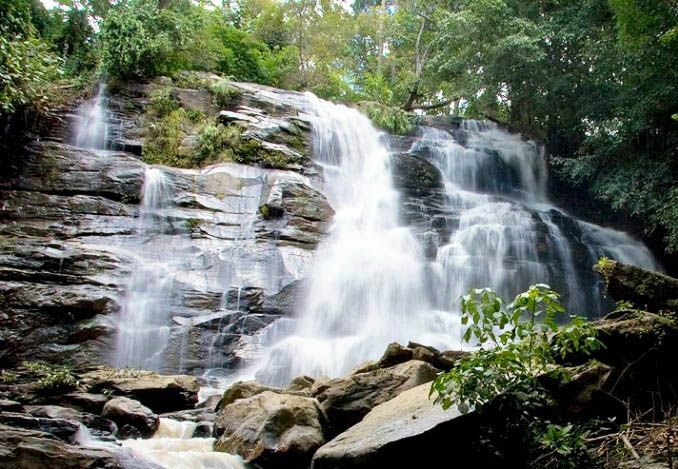 Arrive at the Tat Mok Waterfalls and enjoy the view. Walking and having meaningful conversations. Lunch at the famous local restaurant which welcomes people from all walk of life. Visit monks at Wat Ram Peung, Mae Tang and have a chat with some of them. Return to your hotel or meeting points. We know the monks at Wat Ram Peung very well and monks there are very open-minded and do things for societies. The waterfalls is very beautiful and relaxing. Clothes for change or swimsuit for the waterfall. Appropriate clothes to wear to visit the temple.